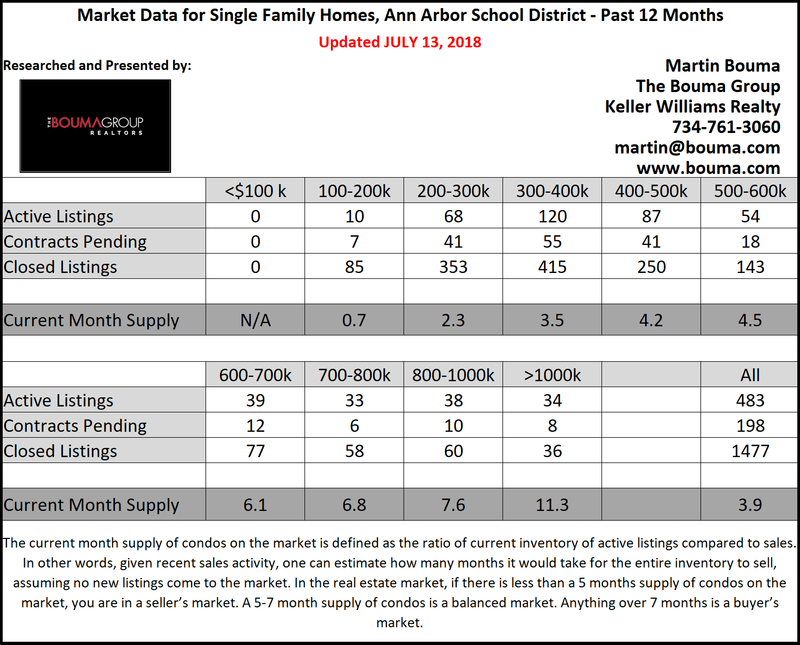 Although only slightly less, Ann Arbor homes saw a decrease in both listings and sales entered this June compared to the previous. The amount of new listings entered only differed by 1.5%, from 194 homes to 197 homes last June. Listing prices saw an increase of 5.9% though, with the average LP being $449,417 in 2017 and $475,710 currently. Properties sold in June declined by 4.3%, 139 versus 133 sold homes. However, the average sale price rose by 3.4% from $434,142 last June to $449,116 this year. Houses are being sold faster, with the average amount of days on the market being 18; this is great for sellers. So far this year, there is a 3.8% increase in homes listed from 840 in the year prior to 872 now. With the small increase of homes added to the market, prices have done the same, $477,729 versus 488,286; an increase of 2.2%. The amount of properties sold to date has decreased 3.3% from 540 to 522 sold homes. There has been minimal discrepancy between the average sale price so far this year compared to the previous year, $435,573 versus $437,914 currently. Overall, it is a seller’s market for Ann Arbor residential homes; especially for homes priced under $600k. Higher end homes, in the $600k to $1m range, are considered to be a part of a balanced market. As per usual, luxury homes that are over $1m are a buyer’s market. If the statistics continue to go this direction, comparative to last month, we are slowly moving towards a seller’s market. Whether you are looking to buy or sell, contact the real estate specialists with The Bouma Group at (734)761-3060 or email info@bouma.com. Check back here for more information about the market in Ann Arbor and surrounding areas!